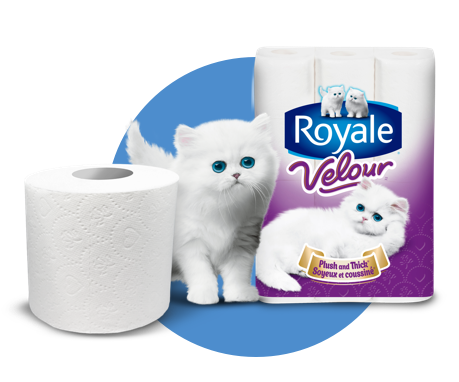 Go ahead, stock up on your favourite ROYALE® products because these clever space-saving solutions will help you find a way to store them all over your home! 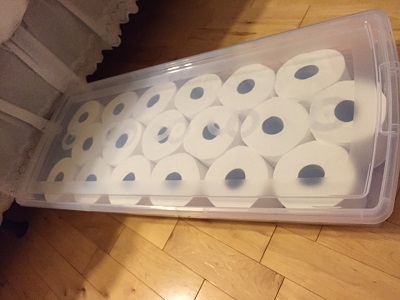 Line up rolls of ROYALE® bathroom tissue inside the plastic storage container, snap on the lid and slip the container under a bed. 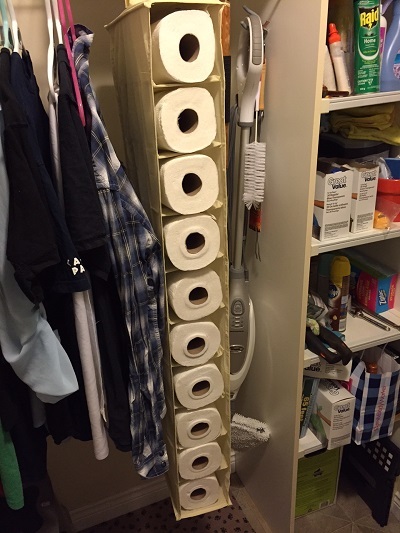 This keeps the rolls dry and out of the way. 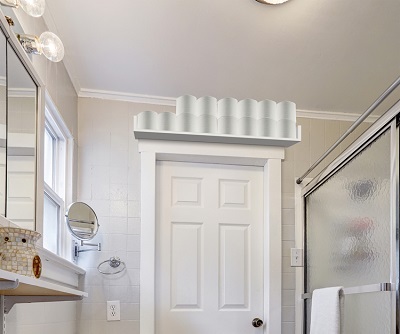 Create a shelf above your bathroom door to store rolls if you have a smaller bathroom with very little extra storage or floor space. 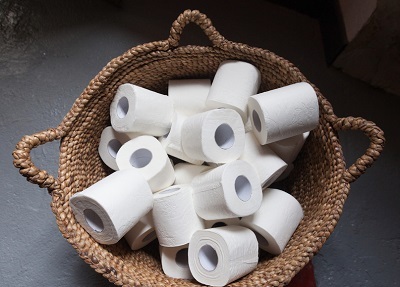 Put the rolls on display in stylish baskets on the floor or wall. You can also buy storage racks for tidier storage under your sinks. 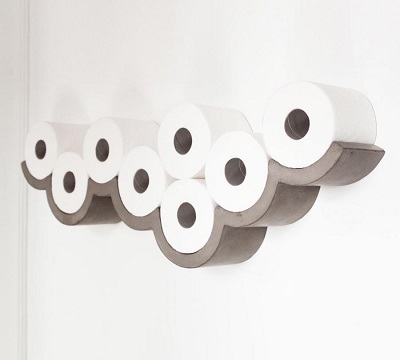 Re-create a fun holder for the kid’s bathroom using plywood and this tutorial. 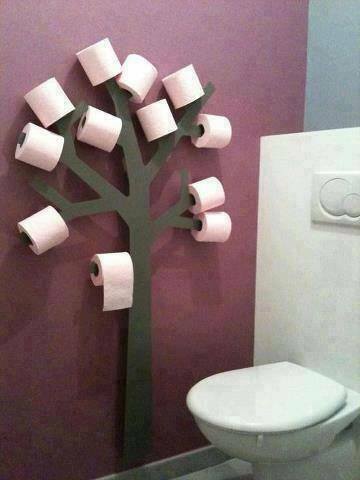 If you have a bigger budget for bathroom accessories, turn your stock of bathroom tissue into a floating piece of art. Purchase a hanging shoe organizer, slip a roll of Tiger Towel® into each pouch and hang it wherever you have some free space (ex: the laundry room, a hall closet, a spare bedroom). 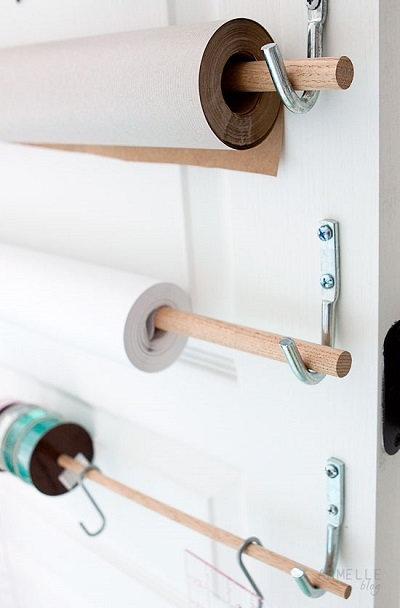 Create a holder under your sink, on a cupboard door, or on the wall of your pantry to save counter space.